We pride ourselves in providing our customers with the best quality products and personal service. At Prock Marine, we take the extra steps in creating our products and we hope that you’ll find something that you like. We can also customize a design to meet your specific needs; call or email and let us know what you want. 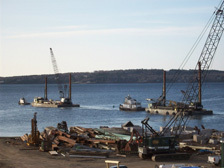 Prock Marine Company owns a waterfront location in Rockland, Maine serving as docking space for our vessels; a welding shop, a maintenance shop and float construction area. 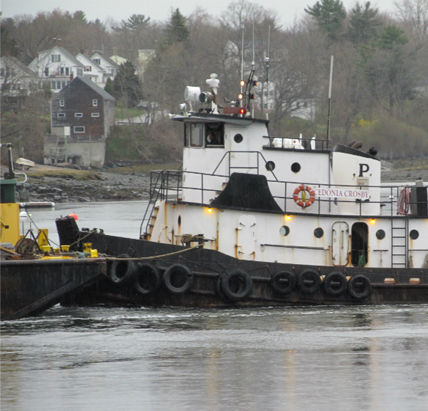 Among the equipment that Prock Marine Company owns are nine barges, three tugs, twelve trucks and seven cranes. Prock Marine employs an average of 35 men year round plus an engineering and office staff. 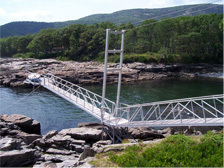 Prock Marine engages in many phases of marine construction for government agencies, businesses and private individuals from Maine to New Hampshire. 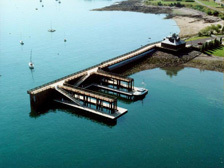 Categories of work that Prock Marine performs with its own forces are marina improvements, erosion control, underwater ledge removal, pile driving, dredging, dock construction, sewer outfalls, sheet piling, coffer dams, granite breakwaters, concrete work, laying underwater pipe and submarine cables.